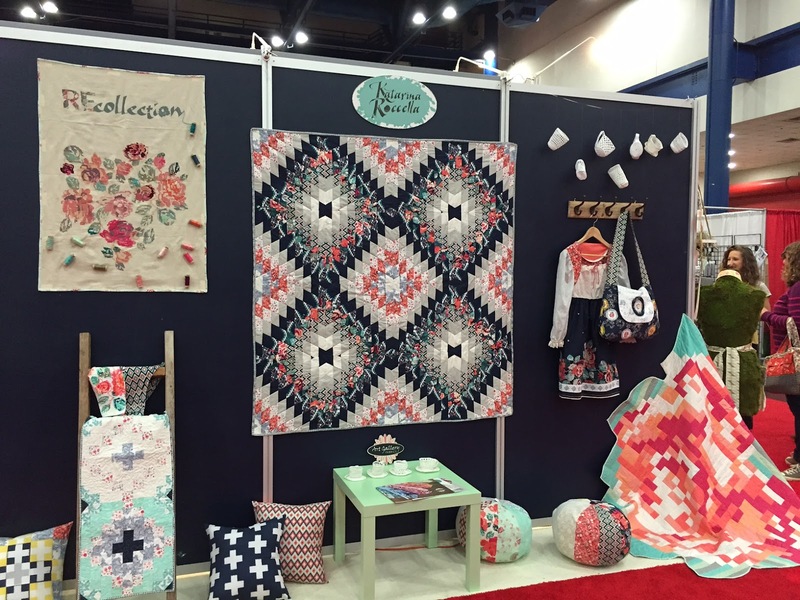 I attended International Quilt Market this past weekend. It was so much fun. I went with Caroline to help promote our new book. 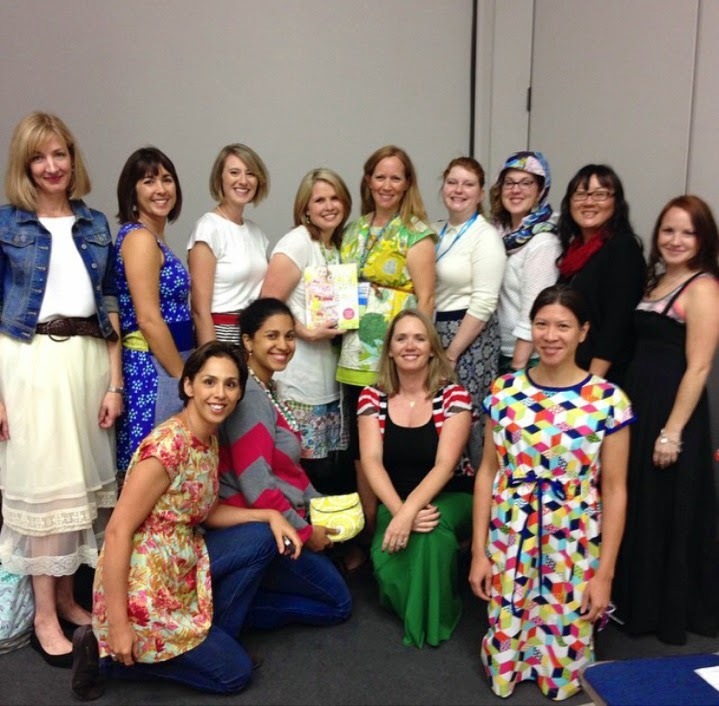 We were able to do a Schoolhouse presentation and show off all the projects in a fun fashion show. 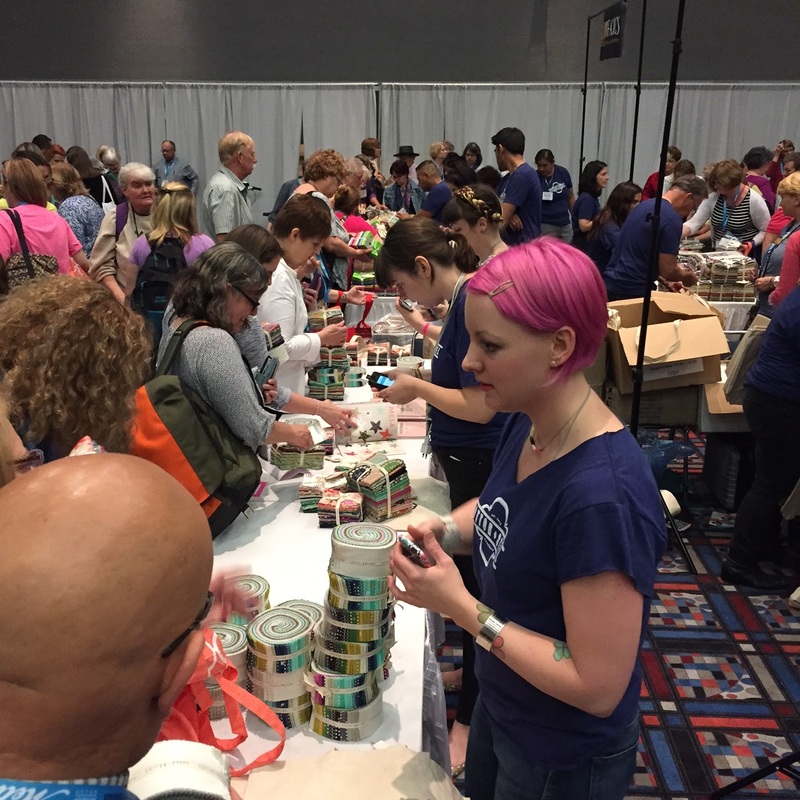 We recruited a bunch of friends and attendees to help us out. I wish I had some pictures of everyone walking the runway. We also got to give away some books and sign them. 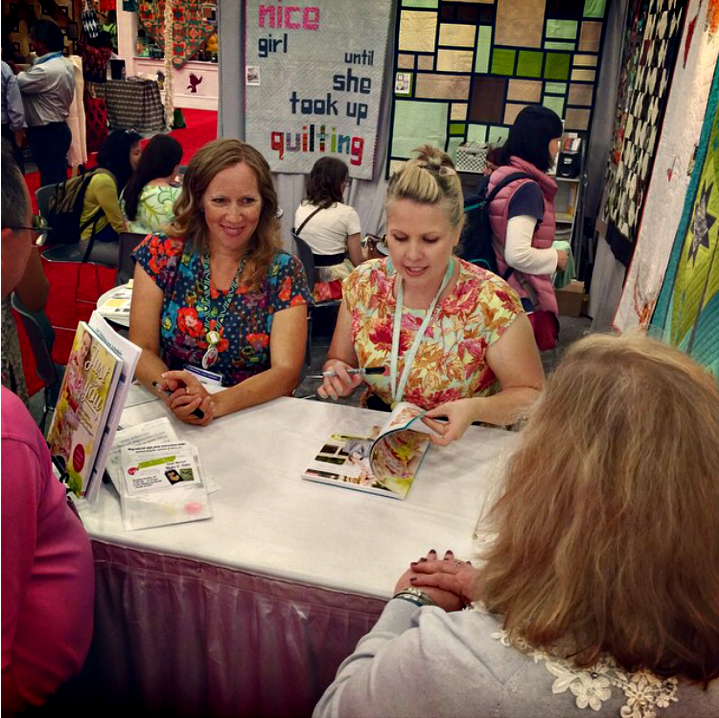 It was really fun to talk to people and hear how they were excited to use our book. Thanks for snapping this pic Girl Charlee. We also taught a little Make and Take based on a simplified version of the Foxy Cell Phone Cozy in the book. I know you are getting excited to see all the projects in the book. Just so you know we are having a month long blog hop full of sneak peeks starting on Monday so stay tuned and I'll get you the details. 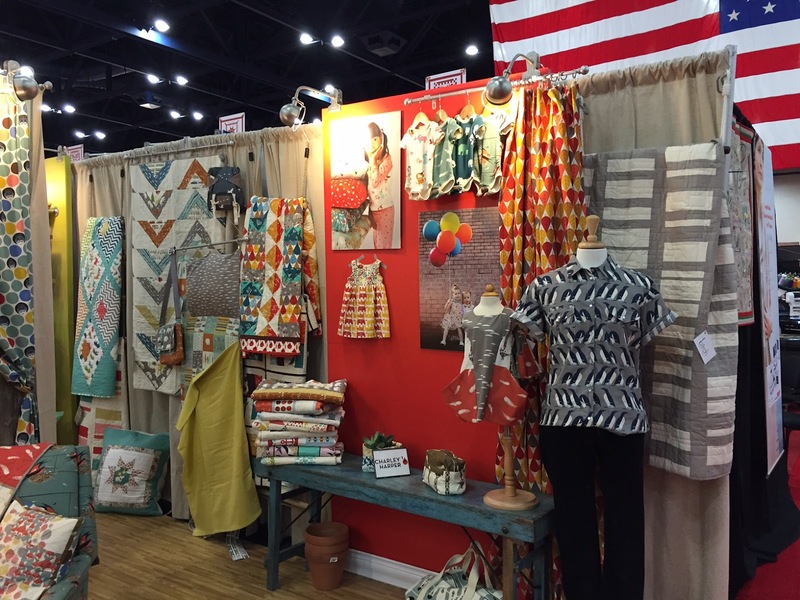 While I wasn't "working" at quilt Market I was able to walk around and see all of the wonderful displays and eye candy. I took pictures of my favorites and since I know my mom and sister at least are dying to see them here is my photo dump. :) I'll do my best to label them but no time for links today so if you like what you see google it! 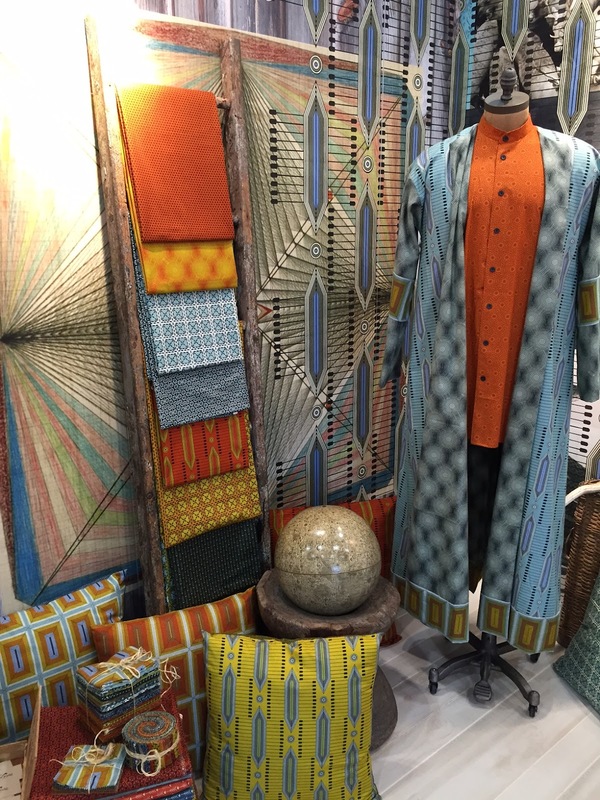 Look at this fun display of lusciously draped Joel Dewberry Rayons. They feel just like butter. 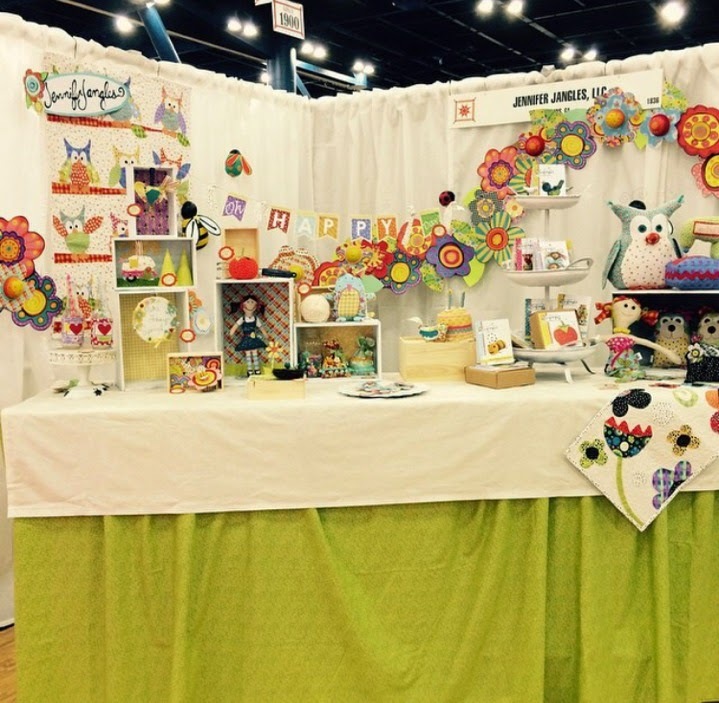 Heather Bailey's pretty booth with her AMAZING new owls. Anna Maria Horner's Honor Roll love. And she is reprinting a combination of her Little Folks and Good Folks lines all in quilting cotton! Kaffe Faucett. 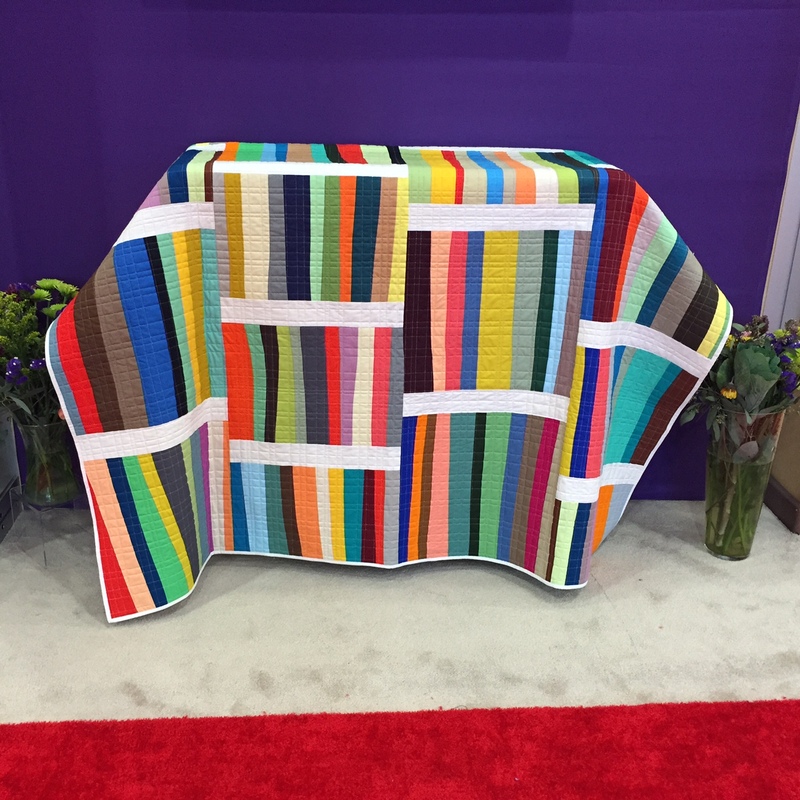 I love the bookcases quilt! A fascinating quilt by Denise Schmidt. and that dress is amazing. 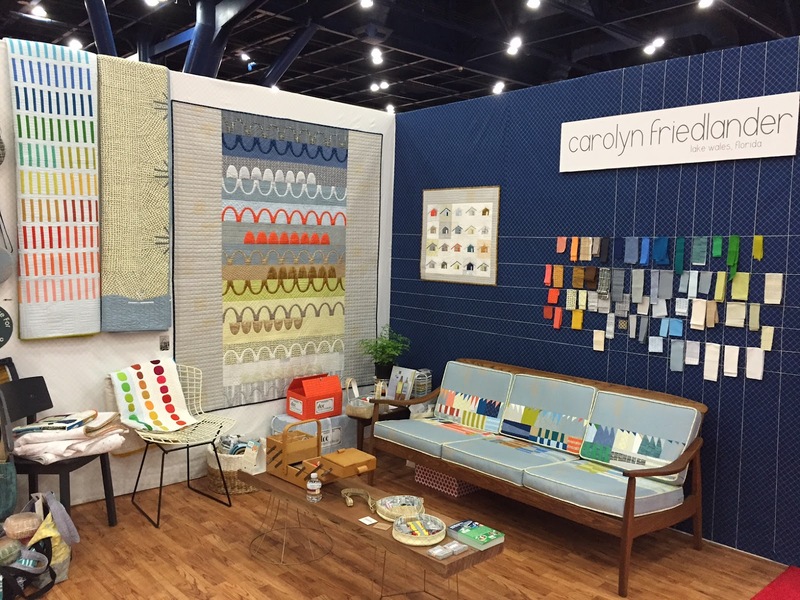 I love Carolyn Freidlander's modern style. And that couch! 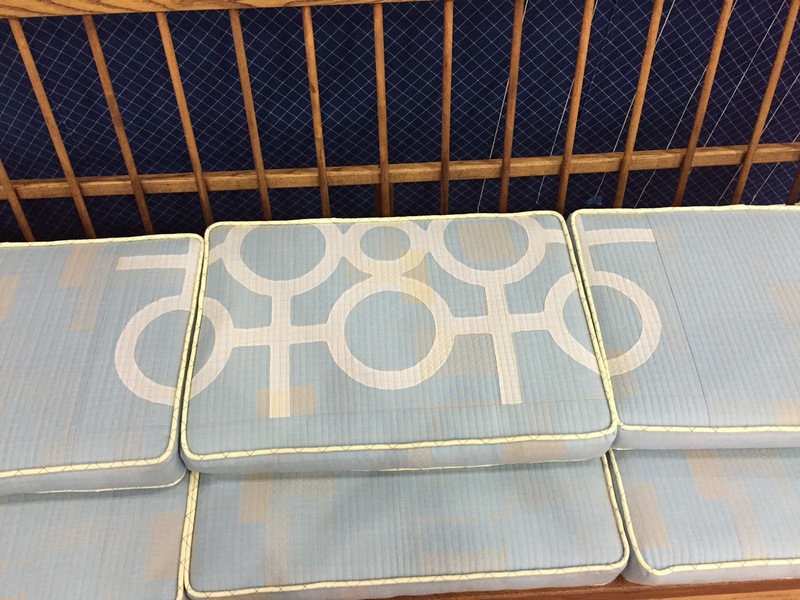 Look, even the back of the cushions are quilted. David Butler's fabric. Hooray for fabric that is a little more manly. 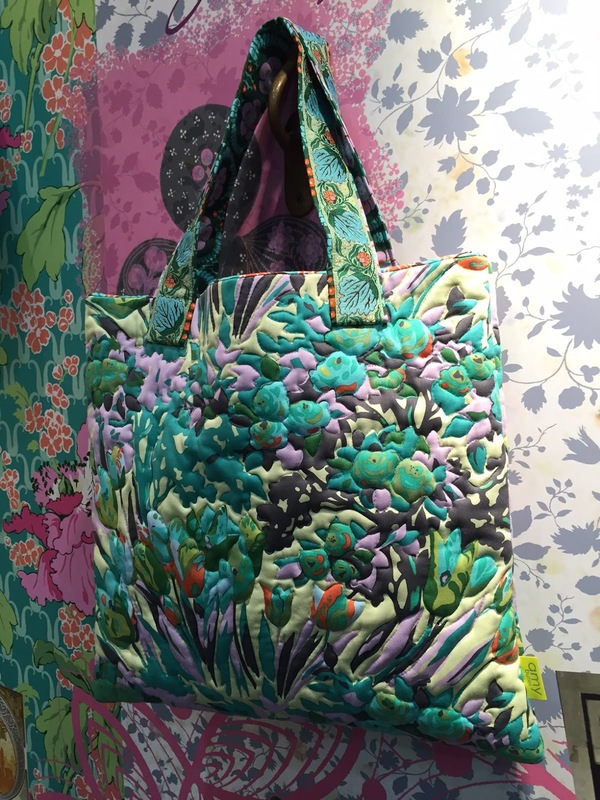 I loved this quilting detail on the bags at Amy Butler's booth. She has the best ribbons too. The sweet set up of my roomie, Jennifer Heynen. I didn't get a very good picture so I stole this one from her. She makes the cutest stuff. 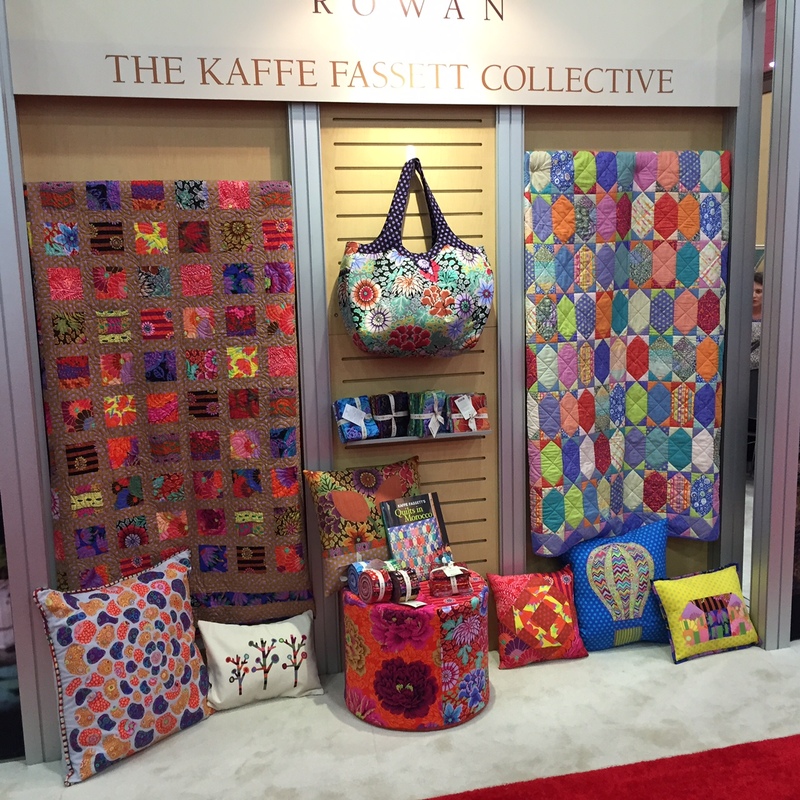 I got to meet up with Maureen Cracknell and see how her booth came together. Can you spy my bags? 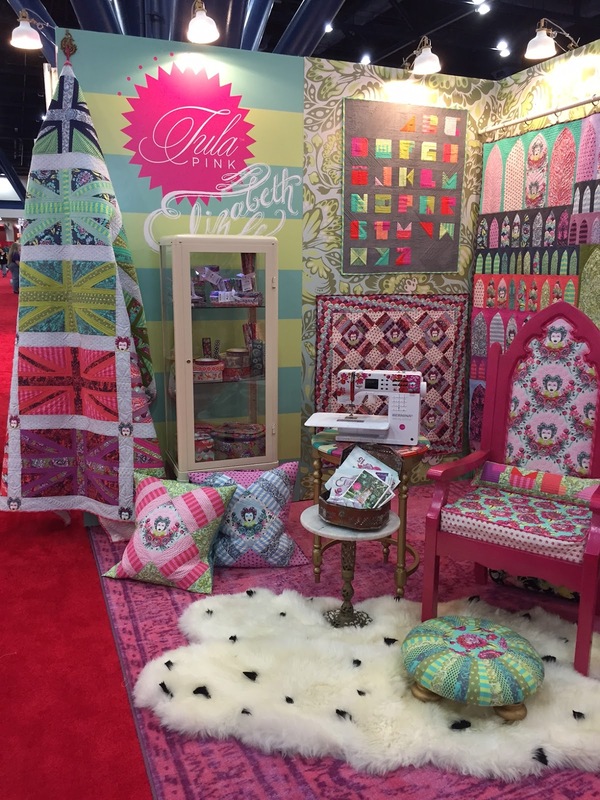 She won best new exhibitor. Woohoo! 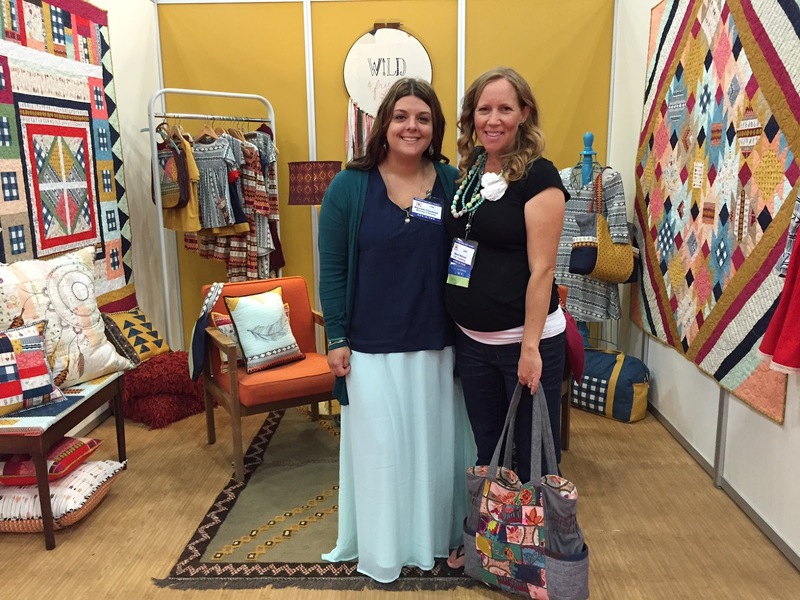 It was fun to meet up with Sara from Sew Sweetness. 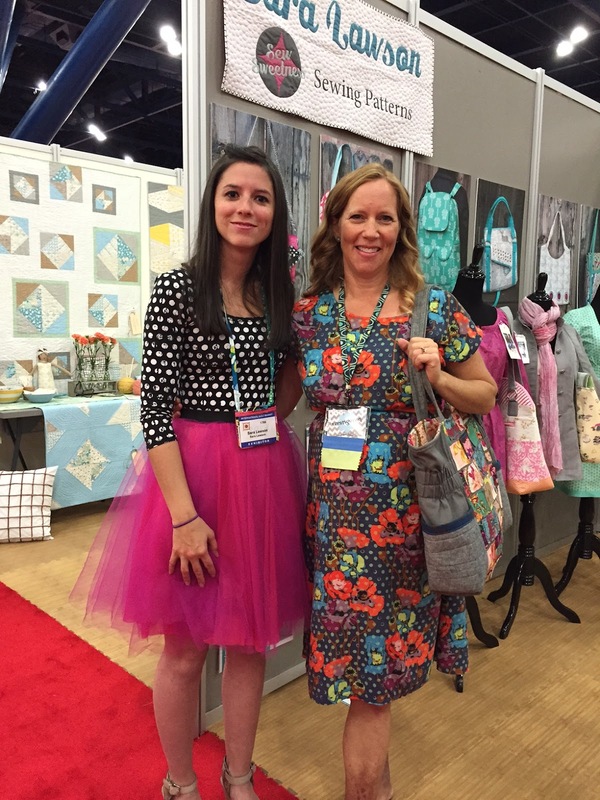 She has amazing bag patterns and always has cool Quilt Market outfits. 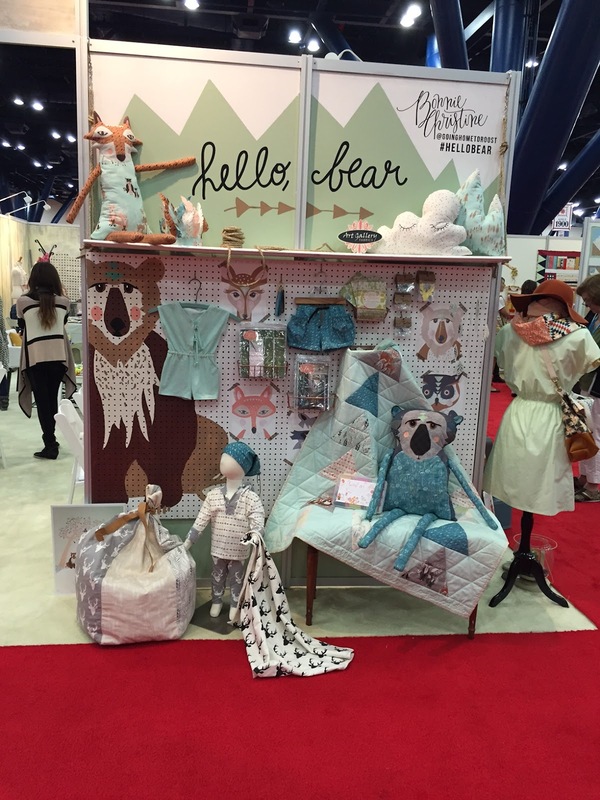 Bonnie Christine's Hello bear collection. Did you know her little boy is named Bear? I'm such a sucker for these bold prints. 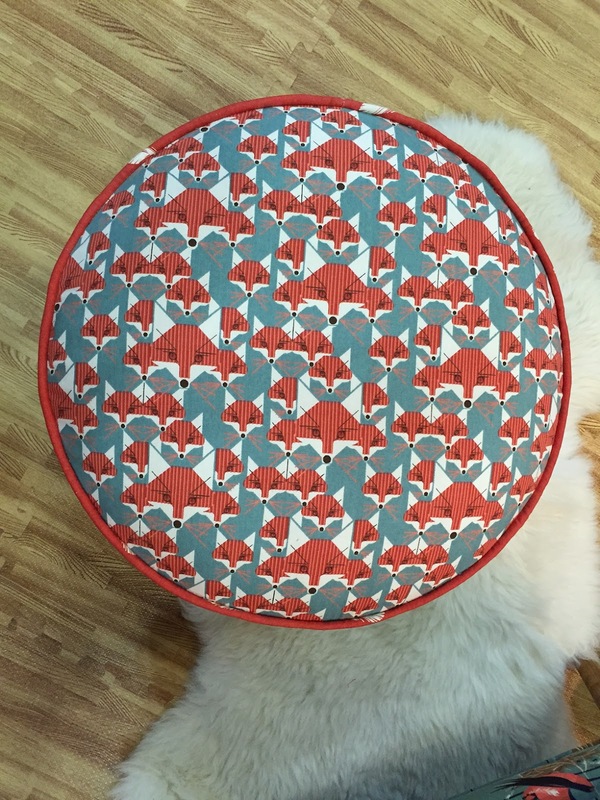 Here's a little fox footstool. 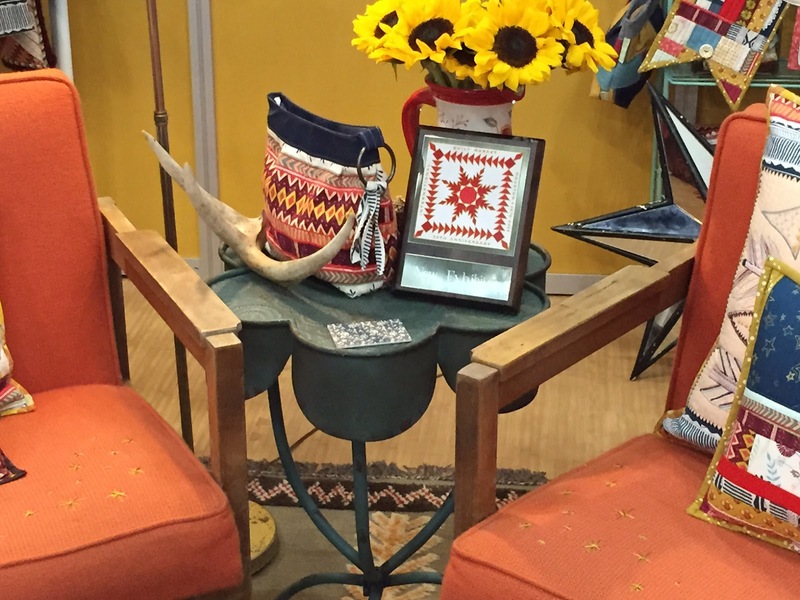 Sample spree was wild as usual with the Cotton and Steel table being the craziest that I went to. Here they are with a table almost bare 30 minutes into it. I'll save my fabric finds for another post. 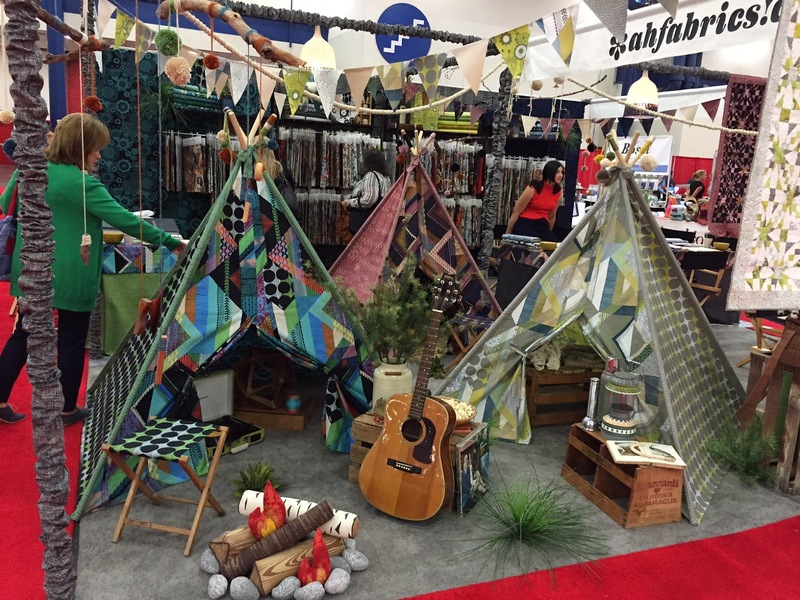 Perhaps the most fun about quilt market is seeing people you only know online. 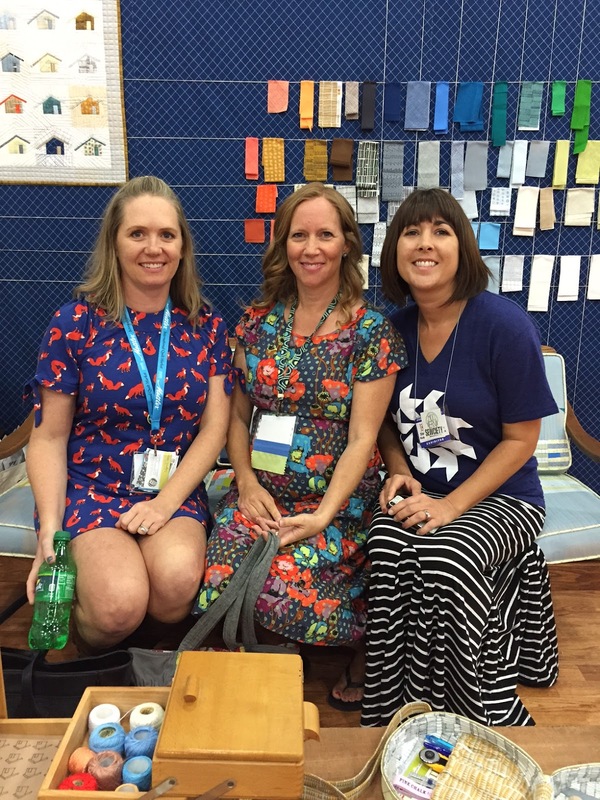 The best surprize was when I walked onto the floor that first day and ran into my first blogging friend Nikki from the Girl Who Quilts, I had no idea she'd be there, but it was so fun to meet her in real life. 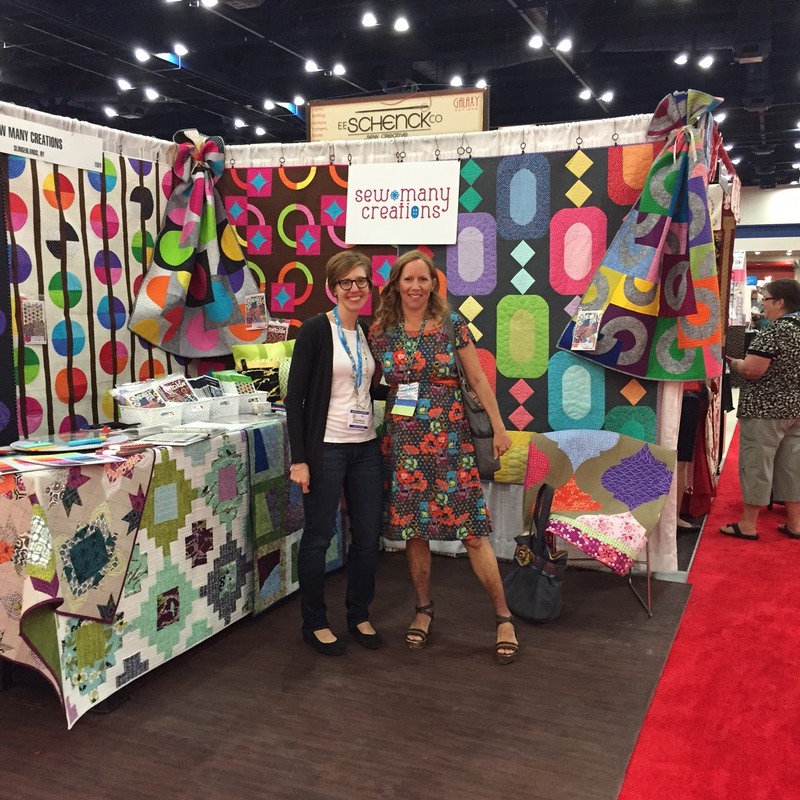 She is a long arm quilter and was there helping her friend in her booth. 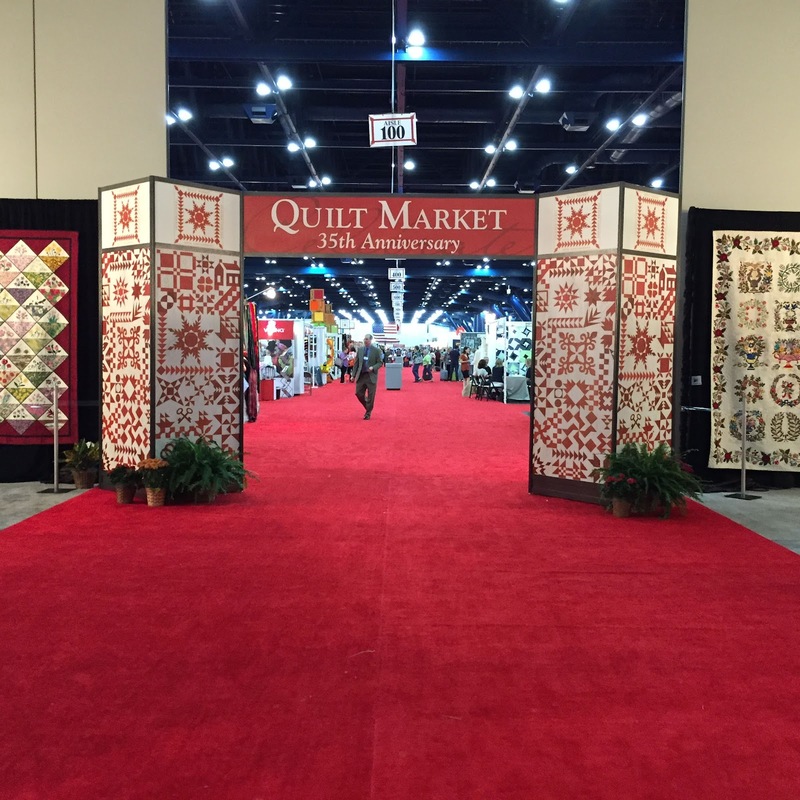 There was more, so much more, including a whole quilt display with 100's of beautiful quilts. I really had so much fun and am so grateful for the opportunity to go. It was so much fun. I'm glad you enjoyed the pictures.